What a beautiful life this one could be for a bear on earth. 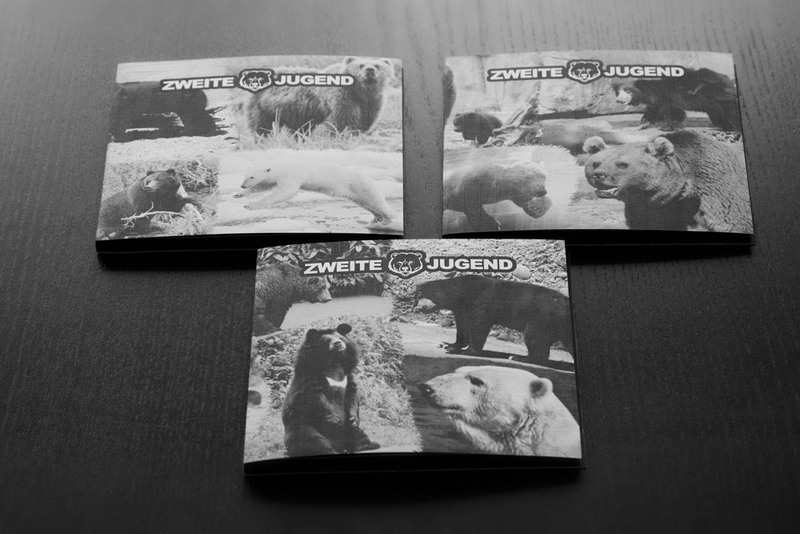 At the last Winter Stomp our label band ZWEITE JUGEND organized a special auction of a handmade edition of their album Liebe Ist Luxus. It is limited to three copies and every one is different designed with public domain images of some bears. The three-digit value has been completely donated to the "Alternativer Bärenpark Worbis" and Eli van Vegas himself brought the donation to the park the day after the event (with a horrible hangover). Thank you for your participation. It might have helped more than you could imagine!